Fans of Canadian indie rock recently got a double-whammy of new albums by The New Pornographers and Broken Social Scene. While the approach of both bands may differ in certain areas, the result is the same: completely remarkable music from the Great White North. “Moves,” the catchy, ebullient opening track on Together, pretty much sets the tone for the latest by The New Pornographers. It’s full of wonderful pop melodies and witty lyrics, yet the music still sounds cool and hip. There are nods to Brit pop (the very Mod-ish “Silver Jenny Dollar” and “If You Can’t See My Mirrors”) folk (“Valkyrie in the Roller Disco”) and some groovy-sounding soul (“A Bite Out of My Bed”). It’s not all sunshine when the band flexes its musical muscle such as the metal-ish guitars of “Your Hands (Together)” and the uplifting rock of “Up in the Dark.” The closing “We End up Together” ends the album on a high note. Together is a sheer joy to listen to. 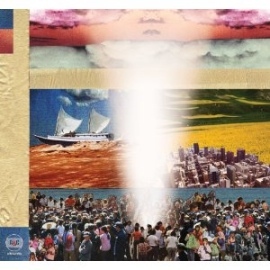 In contrast, Broken Social Scene’s latest album is perhaps more eclectic stylistically, but like the Pornographers’ effort, equally pleasing. Fronted by founders Kevin Drew and Brendan Canning, BSS churn out one unpredictable tune after another on Forgiveness Rock Record: from the sweeping rocker “World Sick,” to the Southern Gothic “Highway Slipper Jam,” and to the soulful, ’60s vibe of “Water in Hell.” Featuring guests Pavement’s Spiral Stairs, Feist, Amy Millan and Metric’s Emily Haines, the album highlights includes the the driving “Meet Me in the Basement” and the very lovely electropop-quasi-ballad “All to All.” Despite the everything but the kitchen sink approach of the music, it all seems to come together into one solid collection of heartfelt and passionate rock.